The Research Center has at it’s disposal 1586 rolls of Microfilm with passenger lists, which have been preserved. These rolls from the National Archives, Washington D.C., are available to the public in the library of the Oldenburg University. Phone: +49(0)441-798-3194, we would appreciate prior reservation. You can order copies of the passengerlists for a fee from Routes to the Roots (Dr. Wolfang Grams). Quarterly Abstracts: Quarterly reports of the port authorities to the Federal Government in Washington D.C. (The reports of Baltimore have no names of the ships and no dates of the arrivals, reports of New Orleans have both the names of the ships and the dates of arrivals.). 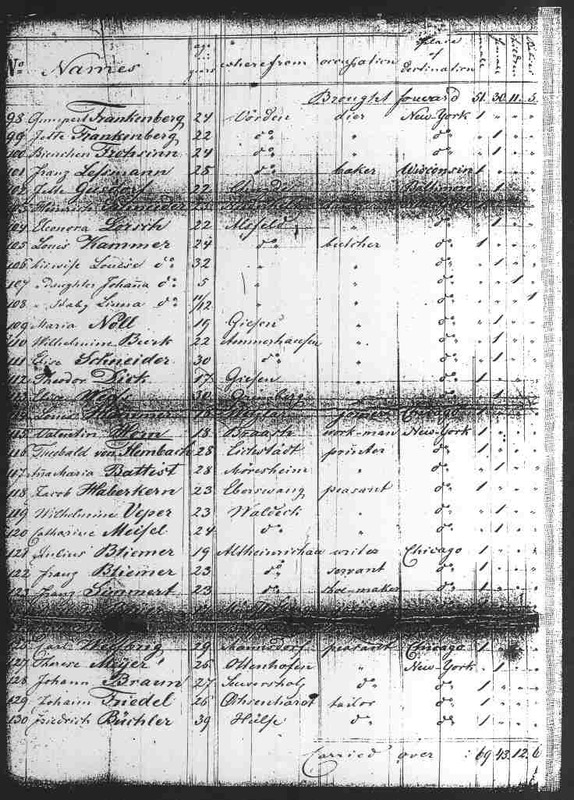 These abstracts are important for genealogists and for migration research: They contain names of passengers even if the passenger lists of their ships have not been preserved. 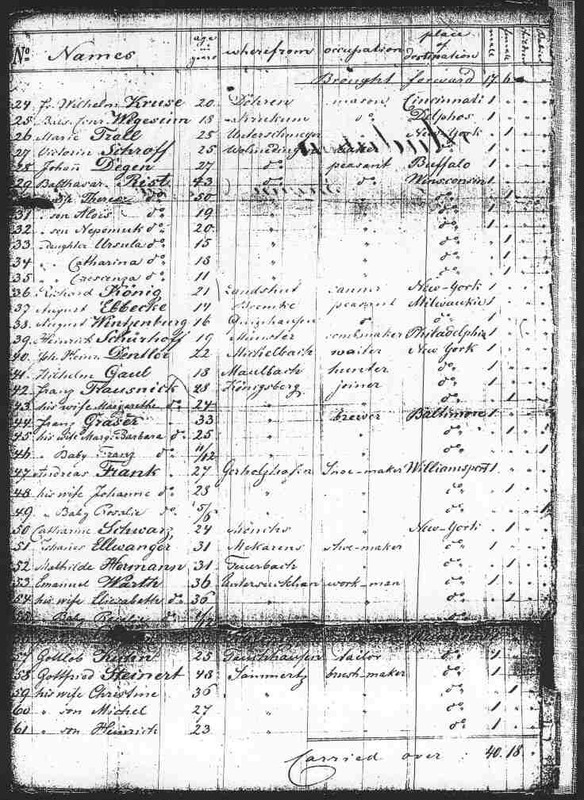 Soundex: Names in the microfilm-indexes of Baltimore passenger lists can be found with assistance of the Soundex Coding System, in order to find also misspellings of names. 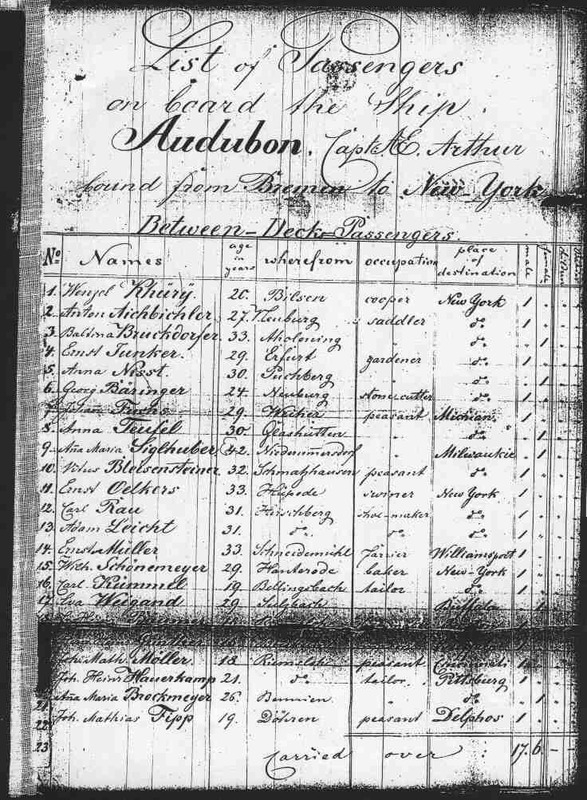 A Soundex Converter (rootsweb for example) gives the code, if you enter a surname, for example: Holtmann = H 435.
from Bremen to New York. 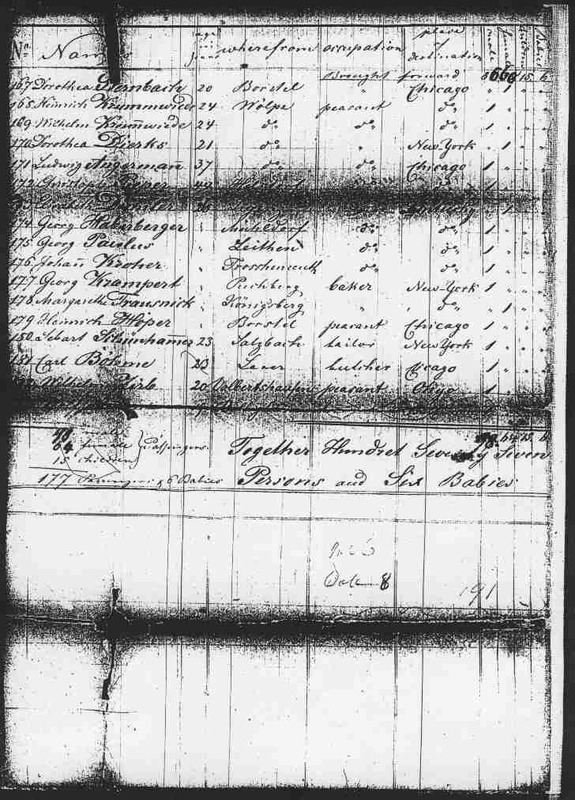 Date of Arrival October 23, 1854. 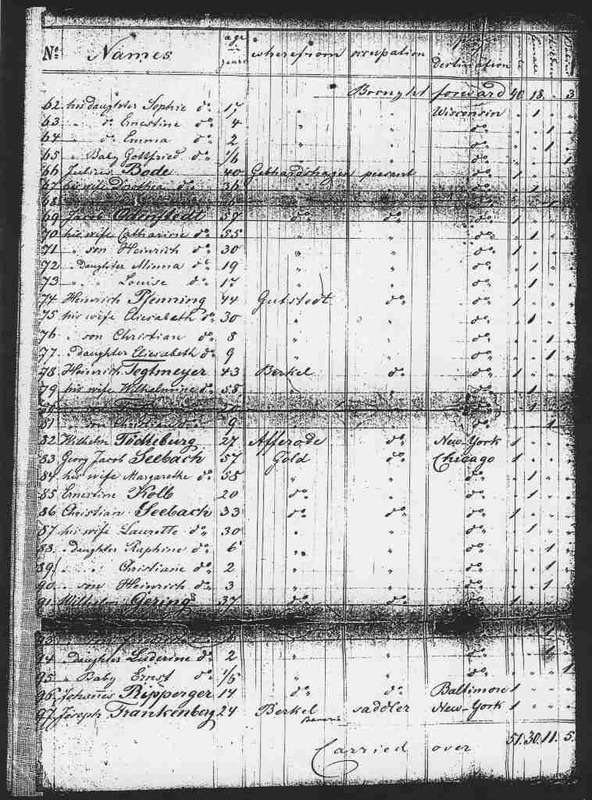 “Germans to America“ provides deficient but nevertheless helpful indexes. The findings should always be checked against the originals on the microfilms or in the internet. 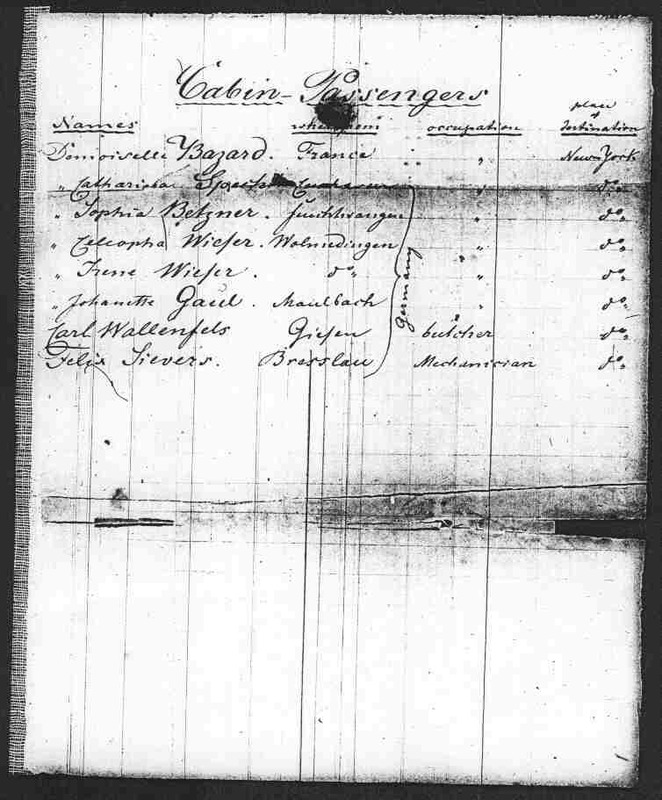 Often last residences are not considered, and many passenger lists also, particularly Baltimore City Passenger Lists. Antonius Holtmann has cautioned against the „pitfalls“. Stamp of the shipbroker J.D. 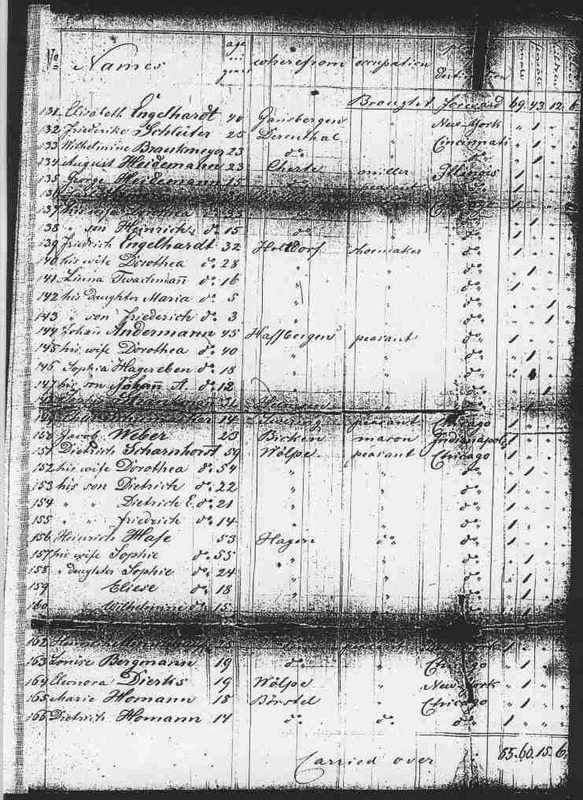 Lüdering from Bremen at the passenger list of the Bremen brigg (two-masted vessel) "Die Freunde", arriving at Baltimore August 2, 1834 (National Archives, Washington D.C., Microfilm).